Pry House Farm B&B is a paradise for bird watching. Both guest bedrooms at Pry House Farm look out onto meadow fields and pastures with the high fell ground beyond. There is a myriad of wild birds to observe particularly in spring when the ground nesting birds arrive but even in winter we have special visitors like this black grouse. We know of several areas on the moor where they return to every year to lek. Lekking is when the males display their white tail feathers into a fan and call and strut to atract a female. 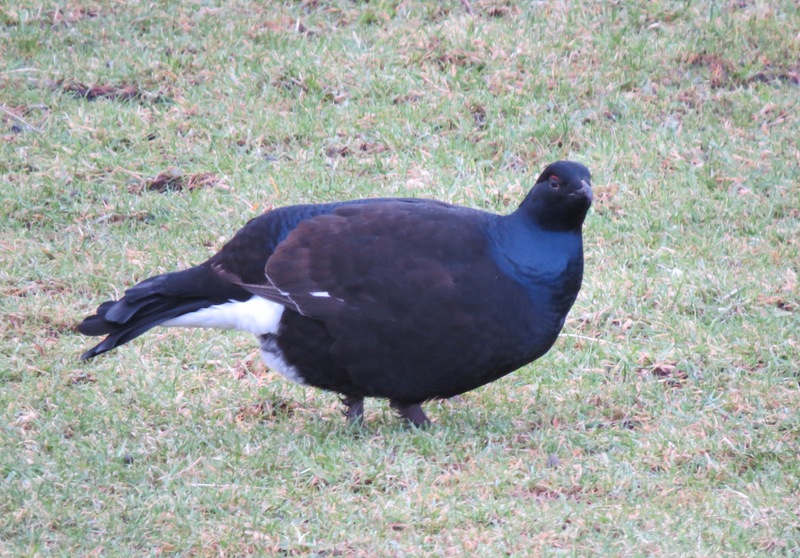 The black grouse is one of only 3 breeds of British birds that exhibit lekking behaviour.